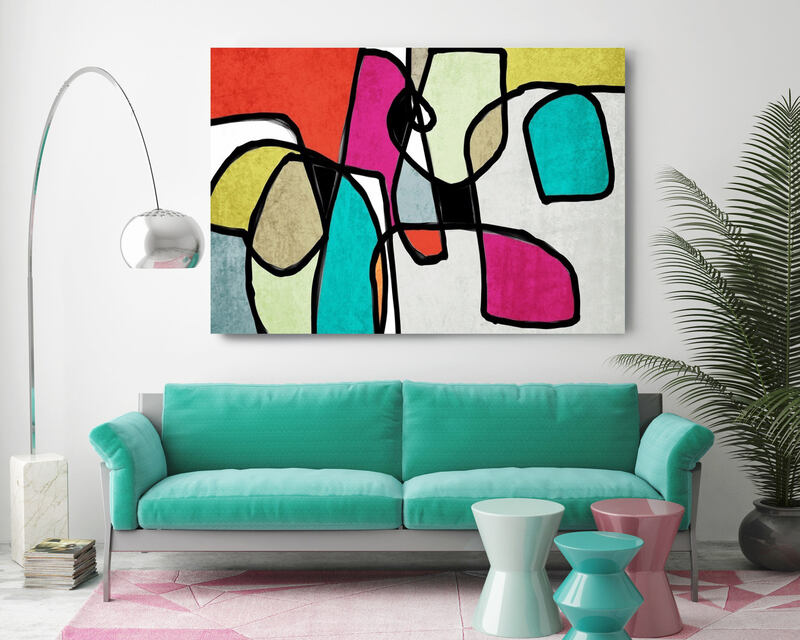 With retro colors and free formed geometric shapes, all of this pieces in my midcentury abstract art collection will add a fun accent to any room. 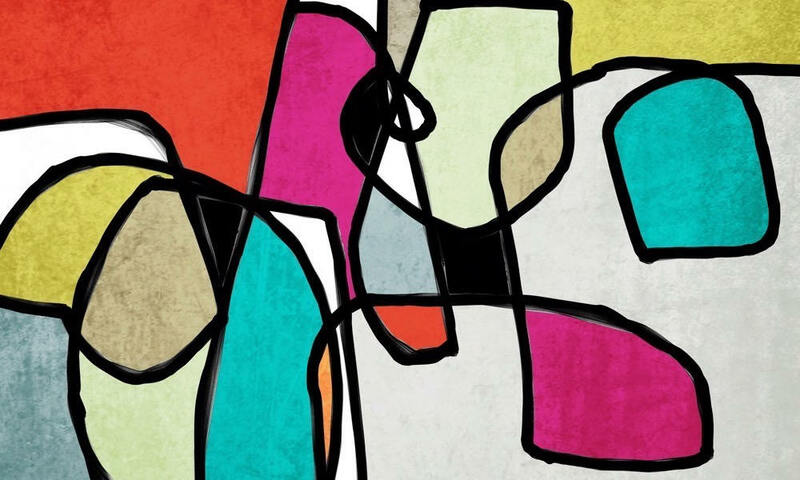 So striking, this is my MidCentury Modern Painting – a canvas print of my original artwork. I also give you the option to have the print hand embellished, which is essentially painting over certain areas of the print with additional brush strokes, giving the impression of an original painting. This is a high quality 1.5" deep gallery wrapped canvas print. No need for a frame - just hang it and love it. 8 sizes available from 20" x 16" to 72" x 48". Artwork is carefully packaged for safe delivery. Processing time is 7 to 10 business days, 14 to 21 business days if you choose the hand embellishing option. Handmade in the USA. - Fine art canvas print. - Professionally hand stretched over 1 ½" deep wood stretched bars. - Gallery wrapped in sustainable FSC certified wood. - UV coated acrylic finish to protect the image from dust moisture and fading. - Option for hand embellishing, which is painting over areas of the image to add brush strokes, giving the impression of an original painting. - Arrives ready to hang. "I was and continue to be inspired by the beauty of the world around me and can spent hours to explore it. The rapid world at which is everything changed so fast, I discovered that I will never live in quite the same world. Life unfolds only in moments. Capturing moments that are full of emotion is the key to my art. During the creating process, I don't limit myself to a specific style or medium therefore my art is mostly represents mixed media. My creating process is based on my emotions and my mood. I'm very spontaneous. Today I might use photography to convey my feelings...tomorrow I might paint to express myself. My work is infused with spirit and energy I felt at the moment I created it." Different computers display colors differently, therefore the color of the actual print may vary slightly from what is shown here. Thanks for stopping by and visiting my studio!